Iron ore will sink back below $50 a tonne by 2019 as global supply continues to increase, steel inventories swell and Chinese demand dwindles, according to Australia, the world’s top exporter, which released its revised outlook just a day after the country’s largest port reported a jump in shipments for August. Forecast comes only a day after the country’s largest port reported a jump in iron ore shipments for August. The steelmaking raw material will average $50 a tonne next year and drop to $49 a tonne in 2019, Australia’s Department of Industry, Innovation and Science forecast in its quarterly report released Friday. “Growing low-cost supply from Australia and Brazil and moderating demand from China, are expected to weigh on the iron ore price,” it says. 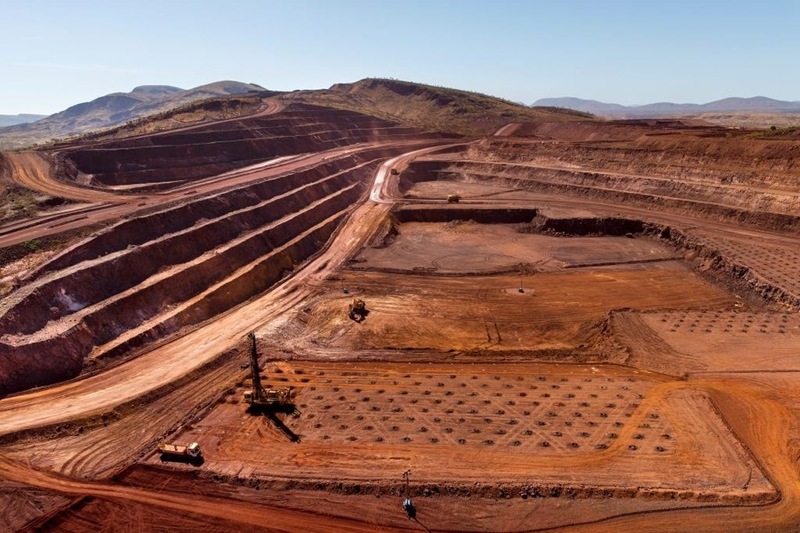 “There are several uncertainties impacting the outlook for the iron ore price. The first is the pace and magnitude of the decline in China’s steel production, which in turn largely depends on government policy. Courtesy of Australia’s Department of Industry, Innovation and Science. Price projections by the department refer to spot ore with 62% content free-on-board from Australia. Gerard Burg, senior Asia economist at the National Australia Bank (NAB) is a little less bearish when it comes to price prediction. While he agrees the current iron ore selloff will continue in the longer-term, he thinks the decline will be mild, with the steelmaking ingredient hitting $60 a tonne by December 2018, he told Business Insider. That’s not far off its current level of $62.24 a tonne as of Friday, according to the Metal Bulletin Iron Ore Index. 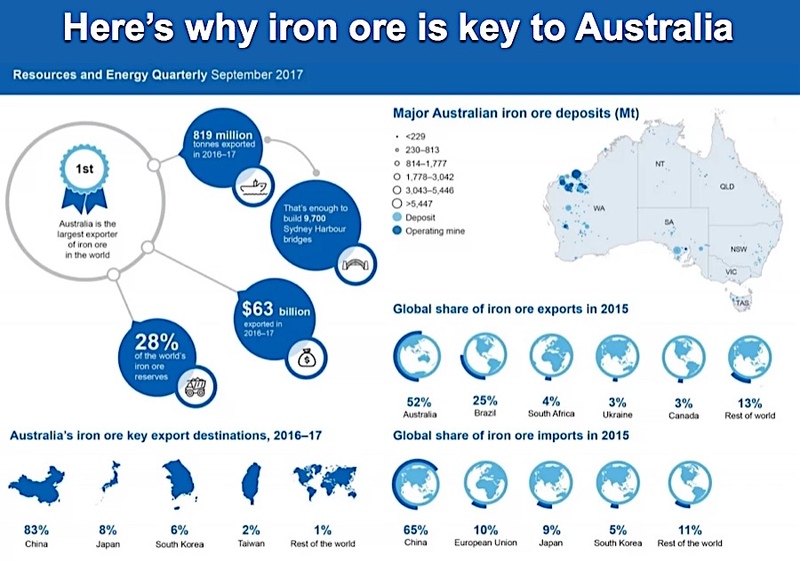 Australia not only holds 28% of the world’s total iron ore reserves but it relies on the commodity for the bulk of its exports earnings. The country exports 52% of the total world supply.